Property Management: Home Improvement Permissions. Welcome back to our blog about what to ask your landlord or property management company about when wanting to improve your rental home or apartment. If you have a great eye for style and decor, your landlord or property manager might be happy to see you put some equity into their investment property. But more often than not, your landlord won’t want you touching the design elements in their rental property. This could be because of past tenants who have tried, and actually cost them more money in the long run. However, if you’re considering a home improvement project, make sure to run it by your landlord or property manager first. Here are certain things you should ask about before beginning your project. Painting – In most lease agreements, tenants will not be allowed to paint the walls of their rental apartment or home without consent from the landlord or property management company. 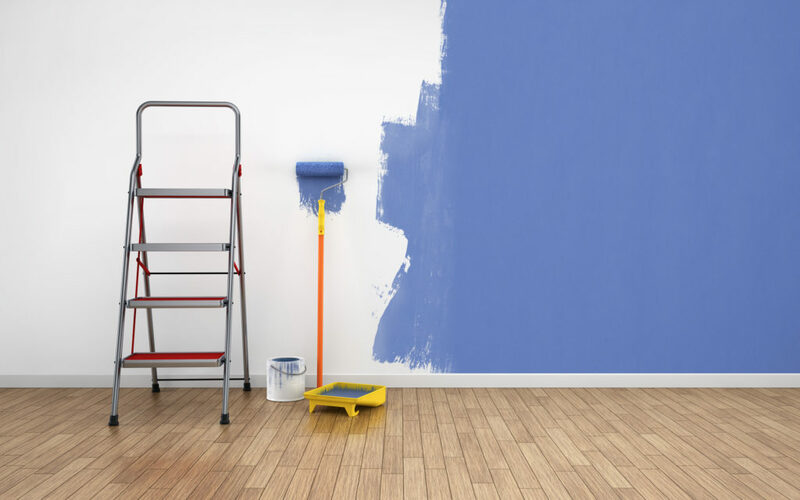 If you’re hoping to add some color to your rental, talk to your landlord or property manager about making the change before doing anything. Wall Decals – Recent trends have brought about decals that can be placed on your walls that come in the form of inspirational quotes, or even monogrammed initials. There’s also fat heads, that are large stick on images of famous athletes and super heroes. Because these decals act like wallpaper, it’s important to get approval from your landlord or property manager before putting them up. Landscaping – If you live in a rental house and want to plant some flowers or make changes to the garden design, be sure to talk to your landlord or property manager about what you can and cannot change. Making changes to your rental property is fun, but it’s important that you remember that because you do not own the property, you must talk to you landlord or property management company first. Contact your local property manager to find out more about what decorative changes you require approval for.